We at A Bullseye View love a good sneak peek! And we just got our hands on a slew of digital happenings at Target that will go live in coming weeks – and we just couldn’t wait to share. The company is completely revamping its app, while also cooking up new apps for pharmacy and gift registry that make it easier than ever to do what we love most – shop! 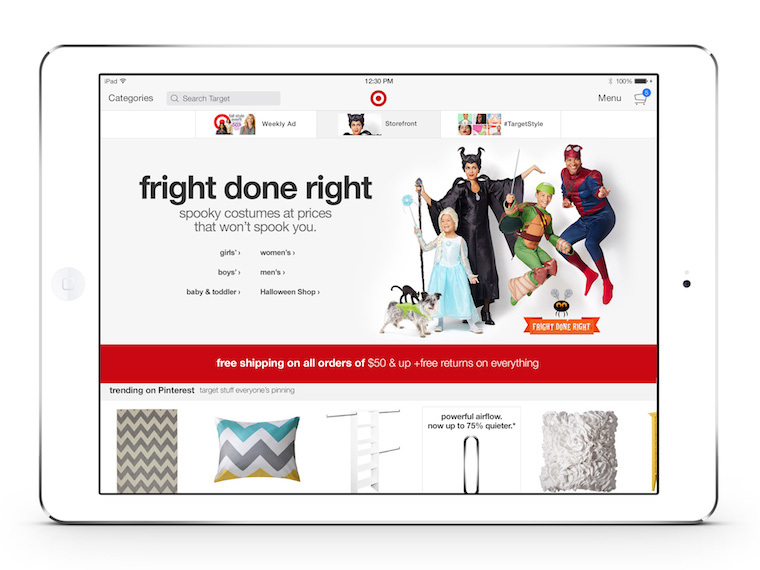 And it all comes on the heels of Target being named 2013 Mobile Retailer of the Year by Mobile Commerce Daily, and already having two of the top shopping apps: Cartwheel and the flagship Target app. 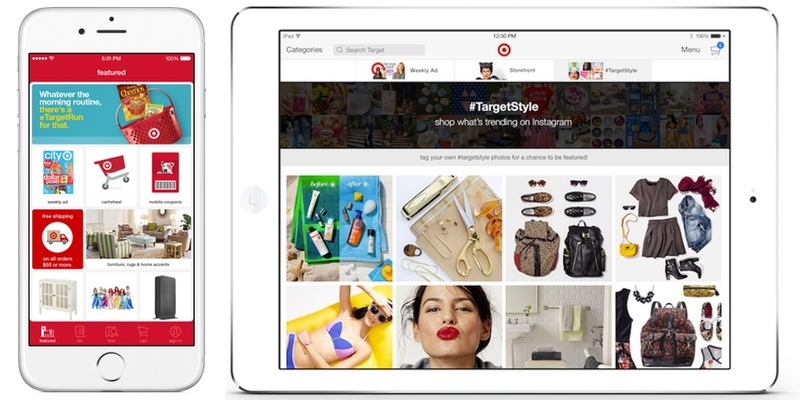 • As one of the most social apps in retail, when a guest shows off her new Altuzarra for Target dress on social media, Target may feature the post within the app! Got a headache from managing your family’s many prescriptions? 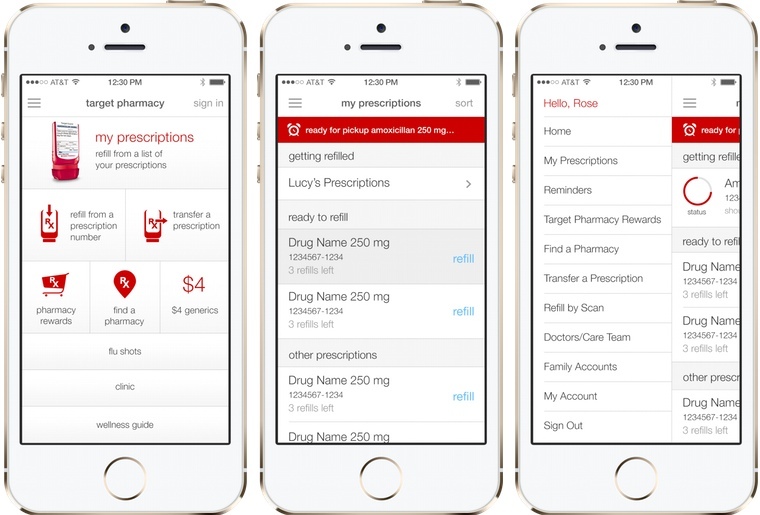 Target has the cure: a new pharmacy app called Target Healthful, which allows guests to organize prescriptions, check prescription status, transfer prescriptions and place orders for refills. This app is just the beginning, so stay tuned for future app updates in 2015! 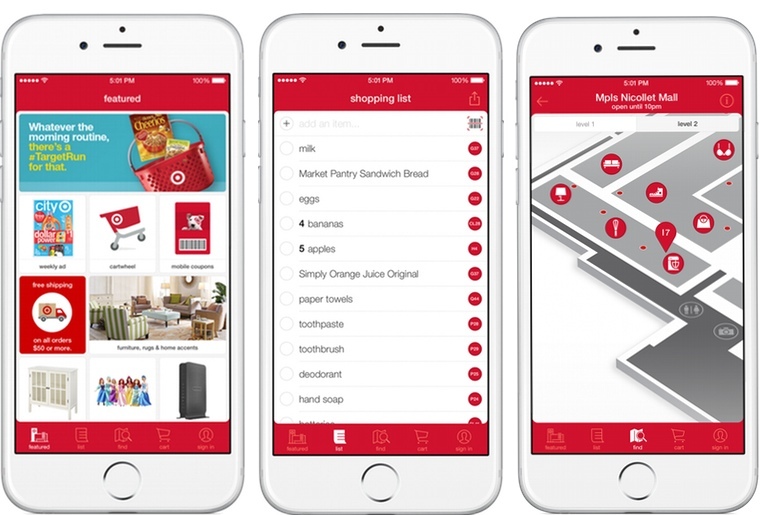 The mobile coupon awesome-ness that is Cartwheel – which has already saved $110 million and counting – debuts two exciting new features this fall. Personalized Recommendations suggest tailored offers based on guests’ in-app activities, while Exclusive Offers reward loyal guests with more personalized, higher-value offers. Whether you’ve got five minutes or five hours (hey, we’ve seen it!) to shop, Curbside may change the way you make your “Target Run.” Target has partnered with the startup Curbside to offer curbside pickup at 10 San Francisco Bay area stores. Guests simply place an order for store pickup through the Curbside app and collect their purchase in person at a convenient Curbside-branded trailer or tent near the store entrance. They’re back on the road in no time! Just imagine what all of this means for your holiday shopping list—woo-hoo!